Aspen season is a favorite time in Colorado. 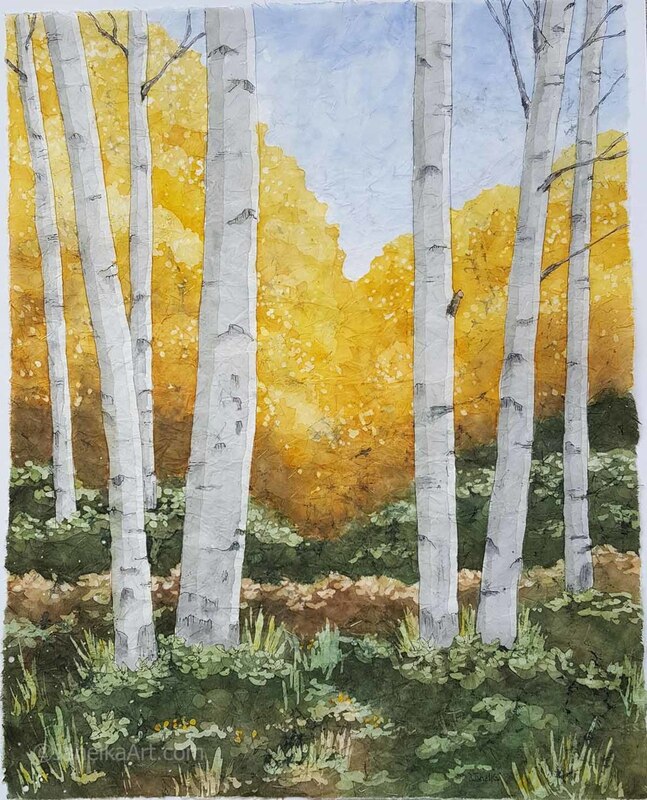 The multitude of colors as the aspens turn yellow and gold are enchanting. This is a larger size than the similar Encroaching Autumn batik so will make an impressive statement in your home.